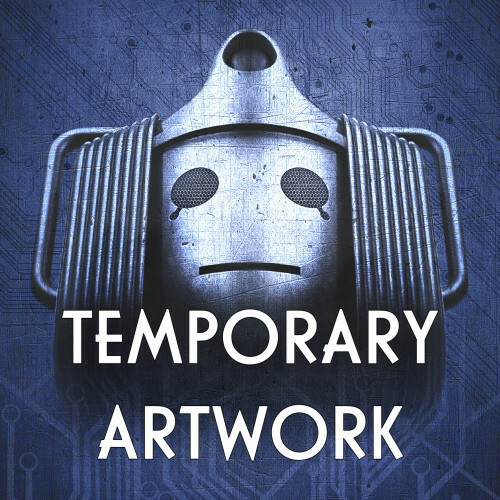 Cyberman: The Complete Series 1 & 2 coming soon from Big Finish! Collected together for the first time – Cyberman, Big Finish's acclaimed mini-series, now available in a brand new CD set! Originally released in 2005 and 2009, Cyberman is a political war-thriller depicting an invasion of Earth by the Cybermen, the classic Doctor Who monsters created by Kit Pedler and Gerry Davies. Written by Nicholas Briggs and James Swallow, the series opens with humanity caught in a disastrous war with their own creations, the Orion Androids. Pushed to the breaking point by the Android's battle-fleets, the President of Earth places her trust in the hands of Scorpius, a top-secret government task force. Scorpius has discovered the wreckage of an alien space-ship; a ship that contains the technology to convert Earth's forces into cybernetic super-soldiers. Before long, Cyberman legions are walking the streets; and both humanity and the androids find themselves caught in an intergalactic trap. Only one choice remains: resist or surrender. Available together for the first time, Cyberman: The Complete Series 1 & 2 collects all eight episodes, together with a ninth disc of bonus content, and includes a new featurette specially produced for this release. The cast includes Mark McDonnell, Hannah Smith, Barnaby Edwards, Jo Castleton, Ian Brooker, Ian Hallard, Sarah Mowatt, Toby Longworth, Samantha Sanns, Andrew Dickens, Toby Hadoke, Martin Trent, Cal Jaggers, Jess Robinson, Stuart Crossman, Lizzie Hopley and Nicholas Briggs as the voice of the Cybermen. The set can be pre-ordered for £25 on CD or £20 to download; and as with most Big Finish titles, when you choose to buy this release on CD directly from Big Finish, you will also unlock instant access to a digital copy for download.